November 1, 2012, Tokyo - Fuji Heavy Industries Ltd. (FHI), the maker of Subaru automobiles, today announced the all-new Subaru Forester will make its world premiere on November 13 in Japan. FHI has also announced a special website for the product (http://www.subaru.jp/countdown/index.html) to raise customer interest before the unveiling. The all-new Forester is the fourth generation Forester SUV featuring Subaru original Symmetrical AWD (All-Wheel Drive) system*1 since the vehicle' s debut in 1997. Developed with the goal to maximize its value as a true SUV, the all-new Forester boasts a higher level of vehicle driving, handling and stopping capabilities; enhanced safety and environmental performance; and excellent drivability in all road conditions. 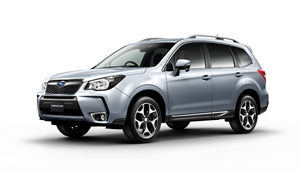 The all-new Forester is the latest global SUV from Subaru to offer its customers Subaru' s distinctive "Enjoyment and Peace of Mind" driving experience. 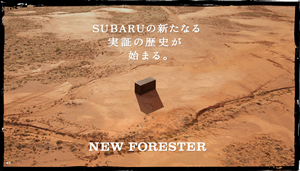 Following the premiere in Japan on November 13, the all-new Forester will be introduced in other major markets world-wide.